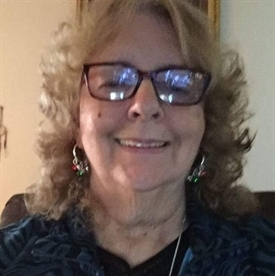 Carol Zweng, age 74 was born on April 28, 1944 in Detroit and passed away peacefully at Henry Ford Hospital in Detroit on August 6, 2018. Beloved wife of Alan and mother of Robert Jr (Wendy), Loretta (Gary) Johnson and was pre deceased by Arthur and husband Robert Sr.. She is also survived by her grandchildren Dean, Brandon, Katie, Nicholas, Lauren, Chris and great grandchild Hayden. Carol will be missed by her siblings Janice, Richard, David, Loretta and was pre deceased by Rose Mary and Denise. Carol spent her time playing cards, traveling, and trying her luck at the casino. She attended Church regularly and was a believer. Carol will be missed by all her family and friends who knew and loved her.